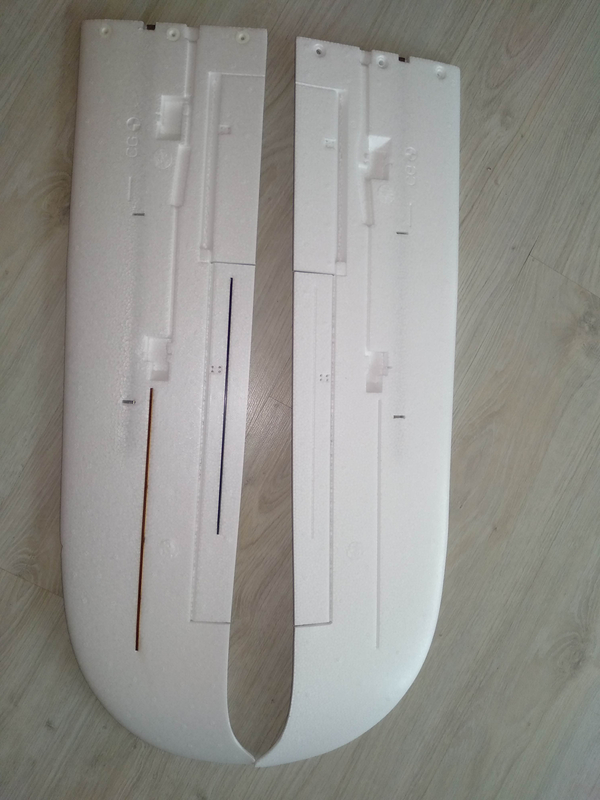 I bought a model airplane Phoemix 1600 the delivery has been on time, it is a good glider relation price quality, to remove it from the package, I realized that one of the wings did not have the reinforcements neither the wood nor the carbon fiber, nor the plastic bumpers, I have filed a claim since the pieces were not even in the box, it may be a manufacturer's fault, "which I can understand," the answer to my claim made by some machine, at least that is what I would like to think because, if the answer has been given by a person, that person has not seen anything that could look like a Phoenix 1600 anything more than a ball, it has been "IT IS A KID ", therefore once you mount that Phoemix 1600 aircraft, or I put a wood a fiber rod (what it is a tube) and some pieces of plastic to try not to break the epo, one of the wings will be different from the others, which will cause the Phoemix 1600 to fly sideways (flight c ircular), with which, the price-quality ratio has not gone very well since the little that it costs, is for nothing, I am happy to have a Phoenix 1600 that is never going to fly well, at least it has come out cheap, it seems fatal to me the way HK makes you dizzy to make a claim for a product that they have sold in bad conditions, the way to turn people who just had the illusion of flying an economical Phoenix 1600 and who feel insulted by the disdain in the reply of "it is a KID" by someone who does not feel any kind of respect for their work, nor for the customers of their company HK, giving a bad feeling for the future of this. good nothing else is just a tantrum of a dissatisfied customer because my Phoenix 1600 has been born dead. already generated a claim, the answer they gave was "your order is a (kit)"
The department did not look at the photos well, the message was made in Spanish maybe the translator was not as accurate as it should have been. Anyway, thanks for your interest, I left the message as a last option, if someone reads it and considers that there was a rush in the response and can promote some action. la foto esta en una conversación con Ian. no me voy a molestar en hacer otras fotos y no es sencillo copiar pegar. ya pase varios fotos a diferentes conversaciones y no ha respuesto nadie. What's wrong with this plane? step image, devido not have a plane to entertain me, I have time, not everything is negative. I have sent again a claim on this subject. After a more specific explanation and a much better explained photos, the answer is different. When I fly it and I suppose I will be satisfied, I already have two models that I thought I would acquire. We're glad you're satisfied! Please let us know if there's anything else we can do.